Did you know if you add to scripture you're cursed? Equally, if you take away from scripture you're cursed. We're often familiar with false preachers like Joel Osteen, who take away from scripture on a regular basis. Preachers like Osteen and others fail to preach the whole counsel of God, deeming some parts of the Gospel less important than others. They say, "It's not my calling to preach sin." Below is just one link among many that confirms Osteen's stance that preaching the whole message of God is not necessary. Osteen believes homosexuality is a sin, but won't preach on it. Host Katie Couric suggested that the popular minister does not "spend a lot of time in (his) sermons talking about good and evil, sin and redemption. It is a very overall positive message." She asked, "Why don't you give people more of a moral template?" Osteen insisted that he does, but "in a positive way." "There's enough pushing people down in life already," he added. "When they come to my church, or our meetings, I want them to be lifted up. I want them to know that God's good, that they can move forward, that they can break an addiction, that they can become who God's created them to be." “You shall not add to the word which I command you, nor take anything from it” (Deuteronomy 4:2, also Deuteronomy 12:32). The reason God is so adamant on this is because “The entirety of Your word is truth” (Psalms 119:160). In Revelation is says the same. "For I testify unto every man that heareth the words of the prophecy of this Book, If any man shall add unto these things, God shall add unto him the plagues that are written in this Book: And if any man shall take away from the words of the Book of this prophecy, God shall take away his part out of the Book of Life, and out of the holy city, and from the things which are written in this Book." (Revelation 22:18-19). Adding to the word of God is just as fearful for the person adding as it is for the person taking away. He is God! And this is His word! Far be it for us to change it or delete parts or dishonor it in any way. What you think of the Word is what you think of Jesus. (John 1:1-5). We are tempted toward both tendencies, adding and deleting. Obviously, satan is maniacally gleeful if he can get God's children to do either. See how it went for the first person in the bible to add to His word, Eve. "We may eat of the fruit of the trees in the garden, but God said, ‘You shall not eat of the fruit of the tree that is in the midst of the garden, neither shall you touch it, lest you die." (Genesis 3:2b-3). The 'no eating from this tree' rule is the one and only Law God gave the man at the time when there were only two human beings. And thus we can see how we humans can and do easily mess things up. Today we have a plethora of both issues happening today, adding to and taking from. Not only are there a scourge of preachers who deem various parts of the Word unnecessary to preach, but we have so many more who add to them by claiming to have had visions and audible commands from on high. The people who say they have heard from God are adding to His word. I want you to understand something. Every preacher, teacher, or prophecy speaker who says he has heard from the Lord and is teaching what He supposedly said, is adding to His word. They are therefore cursed. Every one. Joyce Meyer, cursed. Jesse DuPlantis, cursed. Mark Driscoll, cursed. Beth Moore is cursed. Sarah Young, cursed. Each one of these I've mentioned and so many more have added to His word and thus are going to have plagues added to them. They will be proved liars. Yes this is harsh, but it is biblical. I want us to think about what it means when God says not to add to His word nor take away from it. We read the word but it is not abstract. There is a now, today, boots on the ground application. When Beth Moore says Jesus visited her and told her to teach that "My bride is paralyzed by unbelief" and to "teach it as often as I give you utterance to say it" she added to God's word. Therefore, she is a liar. THAT is what it means. When Joel Osteen says it is not his calling to preach sin, he is directly contradicting the very first public ministry words of Jesus, who said, Repent. (Matthew 4:17). 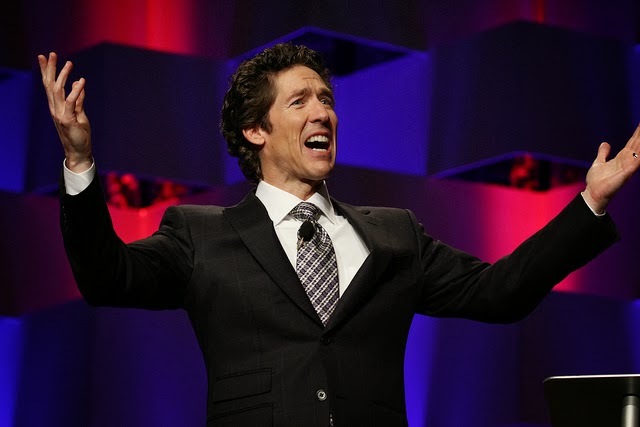 Joel Osteen takes away from God's word, thus is going to be proved a liar and is due for a rebuke. THAT is what it means. I hear people make excuses for false teachers, overlooking their added words or subtracted words, and say, “But they love Jesus so much!” They make excuses. Eve perhaps was trying to be helpful when she added to the word, by saying we may not eat of the fruit, nor touch it. But once you add to it, the adding to takes on a life of its own and it gets added to more and more. The Pharisees were initially perhaps trying to be obedient, and added a law here and a law there, until there were 613 extra laws God never spoke, and His word was buried so deep in religiosity that it was hard to find Him at all. No, seeming external motivations don't matter. What matters is what they say or don't say, and whether it matches up with the word we're called to believe, hide in our hearts, and preach. Finally, husbands, where are you? Let's go back to Genesis, where we were when this essay began. Adam was with Eve when the serpent seduced her. (Gen 3:16-17). Eve wasn’t even created yet when God told Adam the Law. It was his responsibility as the head of the household to tell her about God's law and to shepherd her within it. Yet when Eve told the serpent that we may not touch the fruit, is any correction on Adam’s part recorded? No. He was with her and not only don't we see a correction on his part, he allowed her to take the fruit. It is the husband’s responsibility to look out for his bride, as Jesus watches over His Bride. It’s why scripture records the first sin coming through the man, and not the woman (though the woman is not excused, she was cursed for disobeying too). Sin came through Adam. (Hosea 6:7, Romans 5:12, 5:14, 1 Corinthians 15:22). And here is the point of the essay: please have a high view of the word. Understanding the importance of not adding to it or taking away from it is essential, but also important is recognizing when someone today is doing those things. I'm not talking about a young wet behind the ears preacher who may say a thing or two that doesn't set well. I'm talking about a teacher's willful subtraction of parts of the bible due to pride, preference or rebellion. I'm talking about people adding to His word by claiming to have had conversations with God. God is looking for those who have a high view of His word. Why? Why would we even want to add to or take away from that which He himself has magnified? An interesting contrast is Adam to Abraham. In all cultures except in the United States, which really has no culture, the son is considered more valuable to father than the wife to a husband in concrete way. As one example in Chinese tradition a man will save his son out of a river first and then attempt to save his wife. Adam abdicated his responsibility to husband Eve vis-a-vis the fruit because he loved himself more than her, and he was afraid of losing her love by somehow angering her. This story repeats itself time, and time again when men are too weak with their wives. The consequence is that men are then too strong and harsh, thus Christ's pronouncement of the fact that the man would rule over Eve. It was not Christ cursing Eve, rather, he was telling her the path that both of them had chosen. A cold, bitter, unloving path. Interestingly, the spiritual father of Jews, Christians, and Muslims was tested in the exact way as Adam, except greater by degree. God asked him to sacrifice his son on the alter, and Abraham obeyed. As we discussed, since Abraham was not a United States citizen he would have loved Isaac more than Rebecca. Yet, he trusted in God that somehow God would return Isaac to him. Imagine the contrast between Adam and Abraham! Adam became deathly afraid that Eve would "leave him" or no longer love him if he told her no. Abraham completely trusted that God would raise Isaac from the dead, for God had told him that great nations would come from Isaac. In the end God stopped Abraham from killing his son, and God certainly would have not turned Eve's heart away from Adam if he would have been firm in that instance of temptation. Adam loved himself and did not trust God. Abraham was willing to give away the one thing that men love more than their wives - their sons - and so Abraham took the first step back towards paradise. Anonymous, thanks for the thoughts. I’m going to answer several of your points in a pointed way. The USA has no culture? Ever society has a culture. As for the Chinese, they have revered the son more than the daughter, and has had somewhat of a problem with this, going overboard in many eras. They lused to leave the girl baby on a pile of rocks for the wolves to kill her, preferring boys. In China’s one-child policy today, girl babies get aborted. This has become such a problem that it has resulted in too many boys and not enough girls. In this way, you could make a case that the Chinese have made an idol of male children. I do not find any support for this in the bible. What book or verse are you referring to, please? There may be a verse I’ve overlooked that states your reason why Adam did what he did, but I’m not finding them. Abraham is not a spiritual father to anyone except Jews/Christians, because the Muslim religion is false. It is gross error to say that Abraham of Islam is the same Abraham whom God favored with blessing. As far as the man-woman, husband wife conclusion you came to with Adam loving himself more than Eve, one could make a case opposite to yours, that Adam loves himself more than Eve. He sinned knowingly, because the bible says Adam was NOT deceived. (1 Tim 2:14). Therefore to willfully disobey God meant he knew what was going to happen and Adam chose to be with Eve by choosing to sin, rather than be separated. Again, this is speculation, but you see how reading our own meaning into the text gives two opposite conclusions. That is called eisegesis. We should take meaning out from the text, exegesis, where we will come to the same conclusion. There is only one truth. Wow, you are way off the mark, Anon 2/6 10:11. Ephesians 5 - a husband is to love his wife just as Christ loves His church and gave Himself up for her, the relationship between husband and wife is echad flesh (Gen 2:24). Also, Driscoll has said that these visions are not only prophetic in nature, but pornographic. He has said, and this is on Youtube ("I See Things") so you can see for yourself, that God sends him visions of adulterers in his congregation in the act of copulation. So according to Driscoll, God has shown his prophets the future in the bible, and also Mark Driscoll today. That is why he is in the false category. I agree whole heartedly with this blog post of not adding or subtracting from scripture, but I must disagree that people who receive a word from God are cursed... Only those who hear and THEN change the word of God. Paul doesn't say disregard spirit because it won't happen. He says test the spirit against whether it changes the gospel. Jesus teaches in parables so that we seek out its meanings and thus we dig into personal experience to uncover how we may apply these gems of truth to our lives. To live them out. What purpose might someone receive a word of God that neither adds or subtracts from the gospel? For personal growth on how the gospel may apply to their personal life. If an interaction with God does not send you directly into the word and provide discernment, then its a huge red flag. Otherwise, I don't think its as damning as you make it out to be. Hi I've been terrified that I may have come to a point in my life where I could have said something false about the bible or taken something out of the bible. Honestly if I have ever done so I really wouldn't know the intentions of it. If I did take away or add something to the bible at one point but fully accept and believe it now am I still possibly condemned? I am terrified for my eternal security. If you are saved by grace through faith, you'll never be eternally condemned. Here are just a few of the verses which assure us of this. John 10:27-29, John 6:37, John 5:24, Romans 11:29. Likewise if you're a believer, as you grow in faith you will grow in majority in the way you approach studying the Bible. In the beginning of our walk with Jesus, we have child-like faith that tends also to be childish. We don't condemn a two-year old for drawing a heart love note to mom with crayon on the wall, and likewise Jesus does not condemn his small children in the faith for their childish mistakes. It's incumbent upon you though, to handle the Word as the precious gift it is. So pray to the Spirit before you read, strive your best to understand with the Spirit helping you, and always repent when you feel your conscience strained or is convicted of mistakes. Here are some resources that speak to our eternal security in Christ, followed by a paper that discusses how to tell if your faith is real.